First and foremost, our Cold Fire® firefighting range has excellent GREEN credentials. You can safety use it across all industry sectors with the knowledge that you are supporting your environment, not polluting it. You no longer need to look for multiple agents for Class A and B either, all our Cold Fire® firefighting range can do both, but it also can do Class D and F type fires. It also has a truly amazing capacity for cooling by safely removing intense heat on contact on any surface. In the sectors above we deliver regardless of the surface and all done without thermal shock. Then provides a level of thermal protection to any surface from radiant heat, removing the chance of further damage. What is Cold Fire® firefighting? Cold Fire® firefighting is a Wetting Agent. It is not a foam/AFFF (Aqueous film forming foam) or dry powder and this fact is important. Its not new either and has been around since 1991. Its been tested in accordance with UL 162, UL 71 and NFPA 18 requirements for Wetting Agents for Class A and B fires in both the US and Canada. It also has the ability to extinguish Class D and F type fires. But its not a foam or dry powder. Cold Fire® firefighting is truly 100% environmentally friendly as it is plant based, its non-toxic, non-corrosive and completely bio-degradable. It has been given SNAPP (Significant New Alternatives Policy Program) by US Environmental Protection Agency as a direct replacement for Halon 1211/1301. A quick chemistry lesson to why Cold Fire® firefighting is different. A fire can be extinguished by removing any one of the elements in the combustion triangle (oxygen, heat and fuel), foam and dry powder do this as they smother the fire to remove the oxygen, Cold Fire® firefighting is different. It works by not only removing the heat element of the combustion triangle thereby reducing the flashpoint, but simultaneously works to remove the fuel source which also prevents the possibility of re-ignition. Its this rapid cooling and encapsulation process that prevents the possibility of re-ignition. When you apply water to a fire and/or heated surface, it converts to heated steam and could result in a very dangerous occurrence known as superheated steam. You see although water is an excellent firefighting medium, and yes it has been used for many hundreds of years, it simply lacks the enhanced cooling and penetration abilities so easily demonstrated with Cold Fire® firefighting. 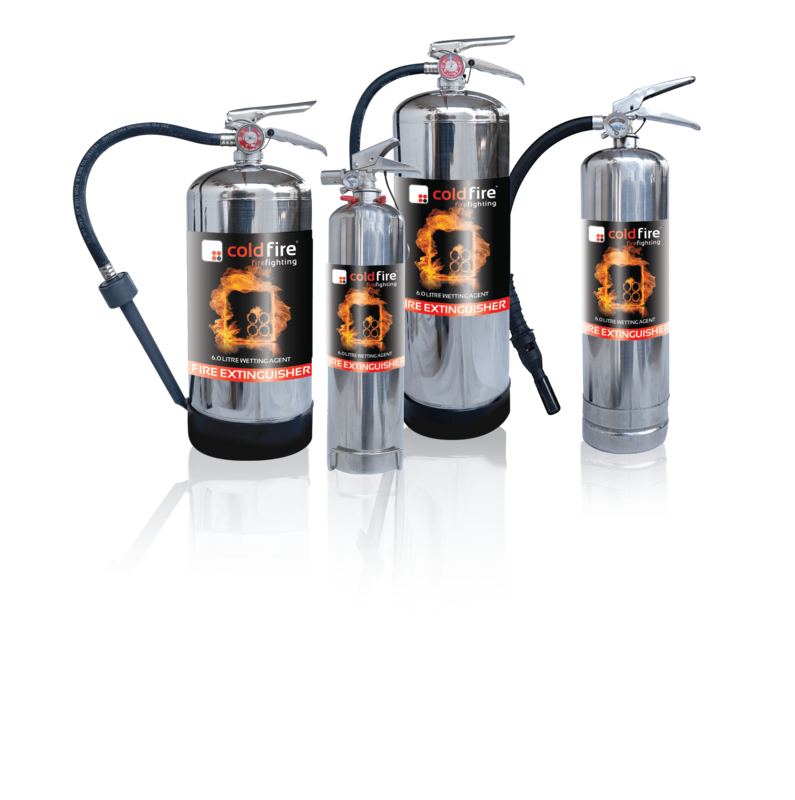 Cold Fire® firefighting is out to destroy the molecular structure of heat. Unlike water or even air, Cold Fire® firefighting has an extraordinary penetration capability that literally allows it to be RAPIDLY absorbed into a heated surface, its this that destroys the molecular structure of heat on contact. This allows the heat to be instantaneously released and dispersed into the atmosphere at ambient temperature. Now this can only really be understood when you see this in the flesh, it does involve a blowtorch and a bare arm. (So sorry for the pun). Further videos available on our YouTube channel. Cold Fire® firefighting and Custodian™ fire suppression can provide all this and more. This is a winning combination that’s used throughout the world and can give you with a totally green firefighting and fire suppression solution that is safe to use.